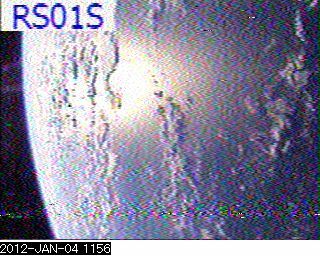 This SSTV image acquired by JJ0LTH on Jan 04 at 02:56 UTC may be one of the last captured from ARISSAT-1. The last telemetry data was received on Wed, 04 Jan 2012 06:02:14 UTC (see ARISSat-1 live telemetry page ). Seems the satellite has de-orbited as no new reports have been posted recently.